The minutes of August 16 were approved. The outstanding 2009 unpaid assessments have been reduced to 32. The 2010 unpaid assessments have declined to 99. GM Sessions was commended for his success in obtaining payment of the unpaid assessments..
Ms. Daulton and Mr. Angelovic were asked to make a presentation concerning balloting for the recommended changes to the DCC&Rs. In order for the proposed changes to take effect 70% of the eligible lots must be voted. The DCC&R Revisions Committee feels an incentive, in the form of a raffle, would encourage some of our members who ordinarily might not be inclined to reply to, instead, cast their ballot. The DCCR committee recommended that, upon getting the response, each lot would be eligible to participate in drawings to be held in Feb.($2,000), Mar. ($1500), April($1,000) and May($500). After some discussion including comments about reluctance to provide incentives for people to vote in their own self interest it was moved by Mr. Hanck, seconded by Mr. Stucki and passed unanimously that this committee recommends adoption by the BOD of the “DCCR Revisions Incentive Program to Improve Member Participation in the Final Approval Process, 2011”. Mr. Kovach will inform the BOD of this recommendation. If adopted by the BOD, this proposal will add an additional $5,000 to the budget of the DCCR Revisions Committee. This Committee thanked Ms. Daulton, Mr. Angelovic and the rest of the DCCR Revisions Committee for their considerable effort devoted to this very important mission. Mr. Kovack discussed ongoing conversations and activities concerning proposals to change the use of SVRA owned lots. In summary, there is some question as to the legal right of SVRA to utilize SVRA owned lots for purposes other than residential. Mr. Kovach stated that he and Mr. Kittleson have been in negotiations on this subject and both are getting attorneys’ opinion. They will be meeting in the near future and will attempt to resolve the issue without court action. For the time being, any action to implement policy has been “put on hold”. This committee is supportive of all effort to equitably resolve this issue. Mr. Kovack discussed a State of Wyoming grant program administered by the Wyoming Business Council which provides $4 million dollars per year for Sublette, Lincoln and Uinta Counties to be utilized for community facilities. The grant would be for a total of $1million and would be matched at 15%. In summary, the applicant for these funds must be a governmental body which is the owner or long term (40 year) lease holder of the facility. SVRA and the town of SVR are exploring the possibility of the town leasing the Silo and Barn area from SVRA and the town becoming the applicant of record. There are many questions that must be addressed if this idea is to become reality but the committee is of the opinion that the idea is worthy of further study. Mr. Vandel moved and Mr. Root seconded that this committee recommends to the BOD that SVRA continue to pursue this opportunity for help in funding proposed improvements to SVRA owned community facilities. The motion passed unanimously. Mr. Kovach will present the recommendation to the rest of the BOD. Mr. Sessions handed out copies of the Balance Sheet as of August 31, 2010 and the Profit and Loss statement for August 2010. Mr. Root pointed out that our “Accounts Receivable” shows a balance of $71,422.63. Mr. Root also pointed out that delinquent assessments are the only source of “Accounts Receivable” and questioned that we actually had that much money owed from delinquent assessments. Mr. Sessions pointed out that some of that figure is represented by attorney fees and interest. In general it was agreed that we need to get an accurate breakdown of what is included in the $71,422.63 figure. If there are accounts that are truly uncollectable then we should write them off the books. Considerable discussion ensued over our accounting procedures and when income is credited to the books. Mr. Sessions pointed out that Mr. Richard Brough CPA has been retained to provide advice and recommendations on our accounting issues. Mr. Sessions feels and the committee agrees that although we are not yet satisfied with our accounting methods we have and will continue to make progress. It was pointed out that there is no approved Capital Budget for 2010. The BOD has approved 9 capital projects so far in 2010. Mr. Vandel pointed out that there is no budget figure for any of those projects in the Profit and Loss statement and suggested that the figure the BOD approved, for each project, be included as “annual budget”. Mr. Stucki pointed out that “Capital” expenses don’t belong in a profit and loss statement but depreciation expenses should be included. Mr. Sessions agreed and stated that it was done this time in order to “capture” the expenses for now. He and Mr. Brough are working on the problem and he feels this issue will be resolved in the near future. Mr. Sessions expects to have a preliminary 2011 budget ready for review later this month. Included in that will be requests for Capital Improvements. Considerable discussion ensued over how we need to proceed on producing a Capital Budget. Mr. Vandel pointed out that he had requested input from all the committees for capital projects for 2011 as well as for future years so he and the subcommittee could prepare a Capital Budget for 2011 as well as a Capital Improvement Program for future years. As of the meeting date he had received no capital requests. He anticipates that the only capital requests he will receive are those produced by Mr. Sessions and the SVRA staff. Mr. Vandel further stated that, in his opinion, there is little interest in having a multi-year “Capital Improvement Program” and it would be a waste of committee time to further pursue the concept. Mr. Sessions discussed the BOD’s endorsement of the development of a “Master Plan” and stated that in future years there will be more support for the concept of long range planning. It is anticipated however, that this committee will produce a recommended 2011 Capital Budget for BOD approval utilizing the best available information. Mr. Vandel pointed out that there is now a little more than $1million in various CDs that has been reserved for the purchase or construction of Capital assets. He is of the opinion that plans need to be developed soon for the utilization of these funds. Mr. Stucki stated that, in his opinion, this committee should be working with a predetermined annual assessment, set by the BOD. The budget, in turn, should be adjusted to that assessment and the anticipated revenue. He continued by making the observation that many of his contacts are highly in favor of reducing or eliminating the assessment. There was considerable discussion about the role SVRA is playing now and will be playing in the future. There was general agreement that we, as a community, need to make the attempt to reach some consensus opinion about the SVRA role and how much our members are collectively willing to pay to fulfill the various needs and desires. No action was taken. Mr. Sessions handed out a report reviewing the results of the recently implemented fall reduced fees for golf. 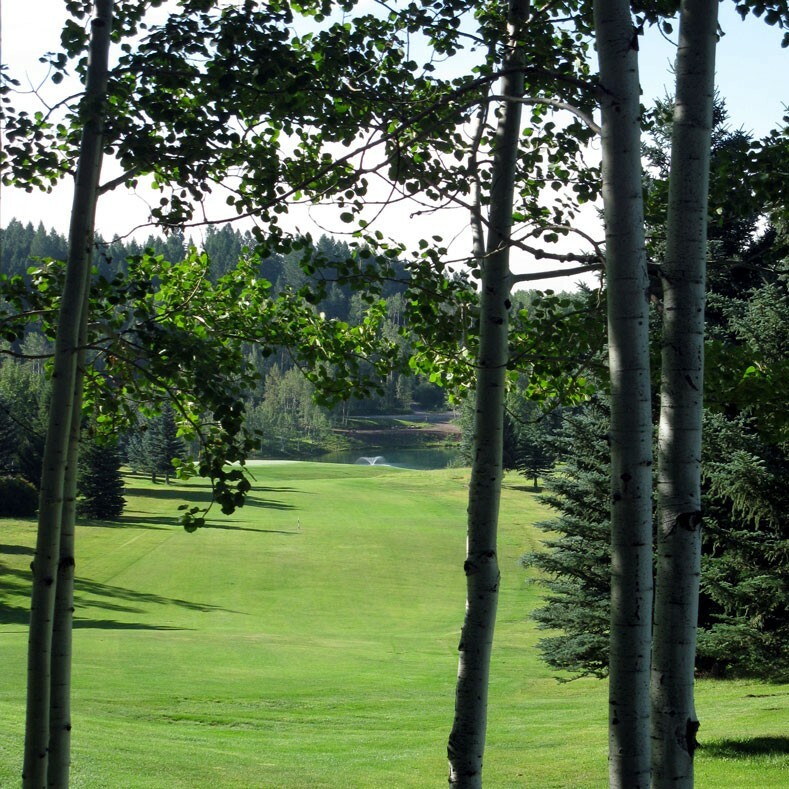 The results have been very favorable as there are more golfers and increased revenue. It was suggested that we plan to have a reduced fee schedule in the future for the periods prior to Memorial Day and after Labor Day. 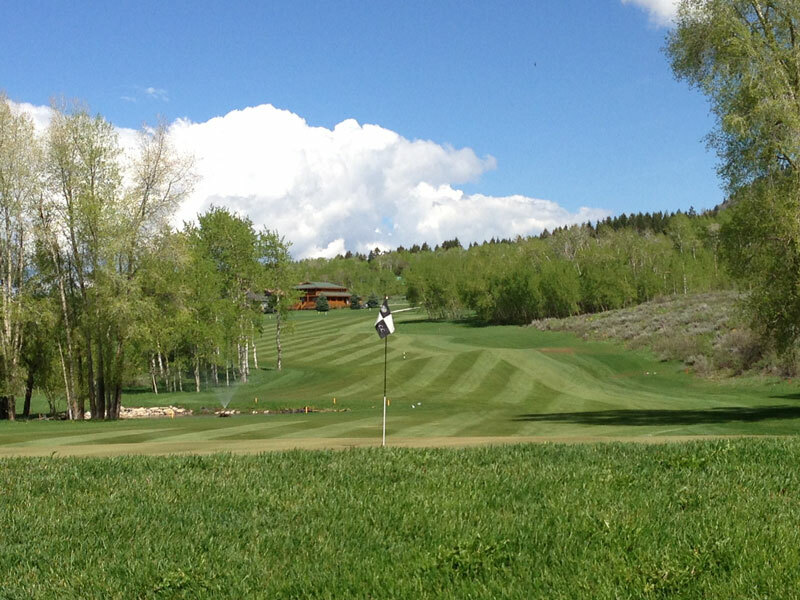 It was generally agreed that not only does Golf revenue increase due to the increased play during these periods but exposure to the amenities and benefits of Star Valley Ranch will very likely result in increased interest in owning real estate here. It was agreed that our next meeting will be devoted exclusively to the Operating and Capital Budgets. Meeting was adjourned at 5:15 PM. The next meeting will be in the library at 3:00 P. M. on Sept. 20. The meeting of July 26 was devoted exclusively to a discussion of the Capital Improvement Program and no minutes were kept. There was no quorum for the meeting of Aug. 2 and no minutes were kept. The minutes of the Jul 19 meeting were approved during the meeting of July 26. The outstanding 2009 unpaid assessments have been reduced to 33. The 2010 unpaid assessments have declined to 127. Mr. Stucki expressed his concerns about the accuracy of the financial reports and the ability to compare one time period to another. Mr. Sessions described, in some detail, the problems he has been experiencing and the changes he is preparing to adopt. It was also announced that Mr. Richard Brough, CPA has been contracted to review our accounting procedures once a quarter and provide opinions and suggestions for improvement. We believe that the profit and loss statements today, because of Jere, Kirk’s and Kathy’s efforts, are finally reliable and usable. Mr. Kovach asked about the profitability of the bar. Mr. Sessions reviewed some of the difficulties he has experienced in assigning costs (electrical, trash) to Bar and Pro Shop but is of the opinion that we are now close to showing a profit and will most likely show a profit for the year. Considerable, time consuming and detailed, discussion took place concerning the operation of the bar. Mr. Root brought up the operation of the Pro Shop. Again, considerable, time consuming and detailed, discussion took place concerning the operation of the Pro Shop (Golf). The amount of goods purchased and the existing inventory is a concern of Mr. Root and this in turn impedes the ability of Golf to reach our goal of it becoming self sufficient. It is apparent that our overall Golf revenue will be down considerably from last year while our expenses will remain fairly stable. Some serious decisions will have to be made to keep the Golf Operation from having to be further subsidized. Mr. Stucki expressed his concerns about the responsibilities of this (F & L) committee and whether we were addressing issues that are our responsibility. After some discussion Mr. Vandel produced copies of Article IX Section 12 of the association by-laws which states the responsibilities and membership of each of the four Standing Committees. Mr. Vandel expressed his opinion that Financial and Legal does not have the responsibility for the management oversight of either the Bar or Golf. It is his opinion that Financial and Legal should be kept informed about the financial results of both operations but that House and Entertainment has responsibility for the Bar and Golf has responsibility for Golf Operations. He further expressed his opinion that the only responsibility F & L had in regards to these two operations was to make recommendations to the BOD as to whether the BOD should subsidize these operations and, if so, the size of the subsidy. Mr. Stucki suggested and the rest of the Committee agreed that Mr. Kovach, as our Chairman and as a member of the BOD, present a statement to the BOD that this committee would like the Golf Committee to provide financial oversight of Golf Operations and House and Entertainment provide financial oversight of the Bar. We further request both committees keep this committee informed quarterly as to the financial condition of both operations so this committee can advise the BOD concerning the financial impact of these operations on the annual Operating Budget. Mr. Sessions complimented Rebecca Hutchins for her efforts in making the swimming operation profitable. Ms. Hutchins: This committee very much appreciates your hard and intelligent work. Mr. Kovach informed the rest of the committee that the forensic audit being conducted has, as of this date, produced nothing suggesting anything other than less than diligent bookkeeping. The audit however, is not yet complete. Mr. Kovach reviewed the DCC&R committee’s request to provide a financial incentive for the membership to respond to the upcoming vote to amend the DCC&Rs. It has been determined that this would be illegal. THIS COMMITTEE HOWEVER, STRONGLY ENCOURAGES OUR MEMBERSHIP TO RESPOND TO THE PROPOSAL TO AMMEND THE DCC&R’S AND RETURN THE BALLOT ASAP. Mr. Kovach discussed the 33 lots that are in arrears for 2009 and for which we either have a judgment or are in the process of receiving a judgment and the possibility of filing for a foreclosure on them. Quite a lot of discussion ensued with some doubt being expressed concerning the likelihood of receiving any financial return from the foreclosed properties. Mr. Kovach has discussed lease terms and costs with the owner of the building where the Town of Star Valley Ranch now leases space for the Town. There was some thought being given to leasing a portion of the building for the Association Offices and closing down the Aspen Hills office during the winter. The costs proved to be prohibitive however, and, at least for the coming winter, SVRA offices will remain where they are at present. Mr. Kovach suggested that both September meetings be devoted to the development of a “Capital Improvement Program” and a 2011 “Capital Budget”. Concern was expressed about our not, as yet, addressing the 2011 Operating Budget. Mr. Sessions stated that he would like at least 9 months of operating data before he develops a draft budget. The committee is very appreciative of Mr. Sessions accepting the responsibility for preparing the draft budget. Our experience in former years has been very little General Manger review of the draft budget prior to the committee’s preparation of it. We are concerned however, that we will have very little time to review and present it to the BOD prior to the departure, for the winter, of most of our members. Both of the September meetings will be devoted to the CIP and Capital Budget. Quite a lot of discussion ensued concerning Association owned lots and the authority of the association to convert the lots from residential to common usage property. Legal action is anticipated and this committee might have to address the issue in the future but no action was taken at this meeting. Meeting was adjourned a 4:45 PM. Due to Labor Day being on Sept. 6, the first Monday of Sept., the next meeting will be on Sept 13 at 3:00 in the Library of the Aspen Hills office. ALSO IN ATTENDANCE: Kathy Schooner, staff bookkeeper. The minutes of the June 21 meeting were approved. The outstanding unpaid assessments for 2009 and prior years have been reduced from 93 to 45. Of the 45 we have received a court judgment on 22 and the remaining 23 will be going to court in the near future. The 2010 unpaid assessments, as of July 12, have declined to 150. Kathy Schooner was invited to present information concerning the balance sheet versus the bank statement on the CD’s. This demonstrated that the balance sheet had been reconciled with the bank statements concerning the CD’s. Kathy did a fine job of explaining the process she is going through to reconcile all the bank accounts. This committee will periodically be reviewing the balance sheet versus the bank statements. The BOD has decided to reserve all funds received from the sale of Capital Assets for future Capital expenditure. As of May 31 there are two CDs valued at$177,765.79 and $207,078.32 in the Bank of Jackson Hole at Alpine. There is another valued at $130,984.97 at 1st Bank in Alpine. In the very near future there will be 2 more valued at $210,000 each at the Bank of Star Valley. These funds came from the sale of the water tank in Green Canyon to the Town of Star Valley Ranch. The town has another payment of $144,000 due July 15 for the maintenance building. It is anticipated that these funds will also be reserved for future Capital expenditure. With these additions, the CDs reserved for future Capital expenditure will total $1,079,829.08. In light of the serious deterioration of the Silo, Barn, Office Building etc., this committee is certain there will be considerable documented need for Capital funding. This committee therefore, thanks the BOD for their actions in dedicating funds received from the sale of Capital assets for future capital expenditures. Mr. Kovach informed the Committee of the statements made by our attorney at the BOD workshop, held on July 6, wherein he expressed his belief that we should report the matter of the $60,724.41 unexplained discrepancy to the Lincoln Co. Sheriff. That report has now been made and an investigating officer from the Sheriff’s office has discussed the matter with Mr. Kocach and our Auditors. Mr. Sessions handed out copies of 1) “Profit & Loss January through May 2010” dated 7/12/10 and 2) “Balance Sheet-As of May 31, 2010” dated 7/12/10”. Many questions were asked about these reports and it was agreed that further refinement is necessary if clarity is to be obtained. Mr. Root had several questions concerning apparent discrepancies between the final balance sheet for 2009 and the Auditor’s report. Mr. Sessions explained that all 2009 financial reporting was “frozen” while the audit was being conducted. Once the audit was completed our staff has been implementing the audit recommendations. Mr. Root had several observations concerning the lack of detail in the Profit and Loss statement. It was agreed that future P & L statements will include all income and expenditures for all budgeted items along with the current year budget. It was further agreed that a condensed version of the P & L would be sufficient for distribution to the general membership. All members however, could obtain a copy of the detailed, item by item, version of the P & L.
Inventory procedures for the Pro Shop and Bar were discussed. Mr. Sessions reviewed the procedures in place and it was agreed that these will produce accurate inventories and “cost of goods sold” for the year. Mr. Vandel expressed his opinion that this committee is devoting an inordinate amount of time to the management of the Bar and Pro Shop and suggested that there be small “oversight “committees formed to review both of these operations on a continuing basis. Mr. Kovach stated that the BOD has assigned the responsibility for the bar to him and he, along with the GM and Bar Manager, is making the reviews. He assumes that Gary Braun, along with the GM and the Golf Pro, is doing the same for the Pro Shop. It was also agreed that this committee needs to be informed of the results of these reviews. Mr. Vandel asked if this committee was going to be responsible for developing the “Capital Improvement Program”. Mr. Kovach gave the opinion that we would and the rest of the committee agreed. Mr. Sessions informed the committee that the State of Wyoming has approved a “Main Street” grant for Architectural services to study the Barn, Silo and Office. He, along with Directors Cheshire and Tooleson will be meeting with the designated architect on Tues. eve. for a walk through of the facilities. This “study” will be in addition to the structural engineering study conducted last year and the previous study done a few years ago. Director Daulton presented an “action Plan” for the development of a “Master Plan” at the BOD workshop on July 6. There is scheduled a three day “Community Assessment” starting on August 23, 2010. This will be similar to the one conducted about four years ago, after the formation of the town. This committee agrees that all these activities are very important to our moving forward with desired and needed improvements to our facilities but it is now time to begin the process of deciding upon priorities and improvement schedules. Our next meeting will be devoted exclusively to the development of a “Capital Improvement Program”. Mr. Vandel stated that no work has, to date, has been undertaken to develop the 2011 budget. He was reminded that Mr. Sessions will develop the budget, in its entirety, prior to presenting it to the committee for our review and eventual submission to the BOD. The meeting was adjourned at 5:00. The next meeting will be Mon. July 19 at 3:00 in the Library. Future meetings are still scheduled for the first and third Mondays of every month during the “season”. The minutes of the June 7 meeting were approved. The outstanding unpaid assessments for 2009 and prior years have been reduced from 93 to 46. Of the 46 we have received a court judgment on 22 and the remaining 24 will be going to court in the near future. The 2010 unpaid assessments as of June 16 have declined to 192. Tom Hensel was asked to present a briefing on a methodology he has developed for prioritizing the numerous projects currently being considered by the Long Range Planning Committee. It was agreed that project prioritization is a necessary first step for the development of a Capital Improvement Program and Capital Budget. Mr. Kovach briefly discussed his concerns about the association’s ability to initiate foreclosure action for non-payment of assessments. Mr. Sessions stated that SVRA has had some success in placing a lien on delinquent lots. In order for the lots to be sold the liens must be satisfied. This problem will receive more discussion in the future. Mr. Kovach distributed copies of the “Auditor’s Report and Financial Statement” for December 31, 2009 prepared by our Auditor Hirschi DeCoria & Company, PC. Committee members will examine this report and further discussion will take place at the next meeting. The Auditor is expected to make a presentation at the Annual Membership meeting on June 26. Mr. Sessions handed out copies of 1) “Profit & Loss Budget Performance-Jan. through Dec. 2009”, 2) “Balance Sheet-As of Dec. 31, 2009”, 3) “Profit & Loss Budget Performance-May 2010” and 4) “Balance Sheet-As of May 31, 2010”. Many questions were asked about these reports and it was agreed that further refinement is necessary if clarity is to be obtained. There have been a series of discrepancies, going back several years, that have caused our Balance Sheet to over state the funds in our various bank accounts. These discrepancies were not discovered by our former Auditor or by any other of the former responsible parties. They were discovered by this committee and the present auditor late last year. After an extensive review by Director/Treasure Meeks and Director/Chair Kovach it was concluded that the possibility of fraud was very remote and the errors were an accumulation of erroneous entries, less than diligent bookkeeping and lack of oversight. It was decided to forego an extensive and expensive forensic audit and instead balance the books, as of Dec. 31, 2010, and make sure they remain balanced going forward. A discussion took place concerning the historical level of assessment and how we arrived at the present “base assessment”. Further discussion will take place. This committee will attempt to get historical data and attempt to provide clarity. The meeting was adjourned at 4:35. Due to the Independence Day holiday the next meeting will be held on July 12 at 3:00 in the Library. Future meetings are still scheduled for the first and third Mondays of every month during the “season”. The minutes of the May 17 meeting were approved. The outstanding 2009 unpaid assessments remain at 30. The 2010 unpaid assessments have declined from 300 to 202. In other words about 90% of the lots have had their assessments paid for 2010. Mr. Kovach furnished copies of our attorney’s opinion concerning the legality of placing a lien against lots with unpaid assessments. It was moved, seconded and passed unanimously to recommend to the BOD that they seek a clarifying opinion. Mr. Kovach will present that recommendation to the BOD. The 2008 F & L report to the BOD was briefly discussed. There was no 2009 report but it is generally agreed that F & L will make a formal 2010 report to the BOD. The lack of agreement in our financial reports was discussed. Kirk and Kathy are making excellent progress in rectifying procedures and mistakes in order to make the documents more verifiable. Mr. Root suggested the committee members be furnished copies of the documents a few days before the meeting. Our new auditors will make a presentation at our SVRA annual meeting on June 26. Mr. Kovach expressed the opinion that the implementation of the POS and linking it to our Quick Books system has been a big step in the right direction. Considerable discussion ensued about the committee’s need to be fully informed on financial matters and, in turn, be able to advise the BOD and membership. Considerable discussion ensued over the “Capital Improvement Plan”(CIP). Tom Hensel briefly discussed a “Priority Rating System” and will make a more detailed briefing at our next meeting. It is generally agreed that we need a multi-year plan with predictable funding for an effective CIP. The $420,000 payment, from the town, for the purchase of the Green Canyon water tank will be received late this month. About $220,000 of that will be utilized for replacing the water line in Green Canyon. The remainder of those funds will be designated for the Capital Improvement Fund. In that regard, the committee appreciates & agrees with BOD actions that retain funds from the sale of “Capital” assets until needed for “Capital” improvements. A brief review of the “Cart Path Program” took place. For several years funds received from the Golf Cart Trail Fees were restricted to being utilized for the cart path program. The committee however, discovered that any improvements to the paths were being funded out of regular operating funds and the cart path fund was not being utilized for its’ intended purpose. The committee therefore recommended, and the BOD concurred, that the Cart Trail Fees no longer be designated for cart path improvements. The committee also recommended however, that the “Cart Path Program” should continue to be funded at the rate of $25,000 per year, as part of the “Capital Improvement Plan”, for as long as the cart paths have a need. The committee thanks the BOD for authorizing a $25,000 expenditure for the 2010 Cart Path Program during the May 2010 meeting. The committee, although recognizing the imperfections of our financial reporting system, is encouraged with the progress being made. We however, anticipate an audit report that will be an honest but critical analysis & realize that continued effort will be necessary before we are satisfied with the transparency and accuracy of our financial reports. Meeting adjourned at 4:30 P.M. The next meeting will be in the Library at 3:00 P. M. on Monday, June 21. Future meeting will be held on the first and third Mondays during the “season”.